On what day did Jesus rise? After three days or on the third day? 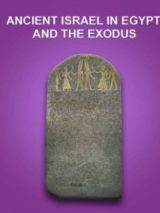 In his Biblical Views column “It’s About Time—Easter Time” in the May/June 2016 issue of Biblical Archaeology Review, Ben Witherington III examines this question. Read his Biblical Views column in full below.—Ed. On what day did Jesus rise? 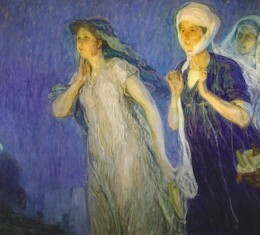 On Easter morning, Mary Magdalene, Mary the mother of James and Salome came to Jesus’ tomb to anoint his body (Mark 16:1–2), as depicted here in Henry Osawa Tanner’s “The Three Marys” (1910). Photo: Fisk University Galleries, Nashville, Tennessee. On the other hand, in Mark 8:31 Jesus says, “The Son of Man will rise again after three days.” He mentions the same event in John 2:19 as “in three days,” and on various occasions the Gospel writers tell us Jesus used the phrase “on the third day” (see, e.g., Matthew 16:21; 17:23; 20:19; Luke 24:46). On the face of it, this might seem to involve a flat contradiction. While both predictions could be wrong, is it really possible both could be right? One of the keys to interpreting the time references in the New Testament is being aware that most of the time, the time references are not precise, and we must allow the ancient author to be general when he wants to be general and more specific when he wants to be more specific. Especially when you have both sorts of references to the time span between Jesus’ death and resurrection in one book by one author, and indeed sometimes even within close proximity to each other, one should take the hint that these texts were not written according to our modern exacting expectations when it comes to time references. 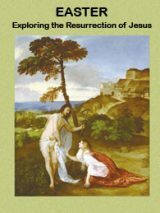 “Biblical Views: It’s About Time—Easter Time” by Ben Witherington III originally appeared in Biblical Archaeology Review, May/June 2016. The article was first republished in Bible History Daily on April 18, 2016. 1. For help with understanding how to read the Bible in light of its original contexts, see Ben Witherington III, Reading and Understanding the Bible (Oxford: Oxford Univ. Press, 2014). Jesus died upon the Cross at the ninth daylight hour on March 23, A.D. 30; the tenth of the Kalends of April (Lactantius, Letter to Donatus, .2). This de facto fell on a Wednesday, the 14th of Nisan, in a properly reckoned calendar because those who with Bachelors who write the Software, such as at NASA, screw it up. At Sunset (Shkias HaChamah) Joseph of Arimathea and Nico-demus (a Greek translation for “Chief Rabbi of Eretz Israel”– of all Israel outside Jerusalem) embalmed Jesus’ body just south of the Olivet fault, near the Kidron & Hinom Juncture on Olivet, just north of En Rogel. They finished by the time of the appearance of the first three small stars at which time was called “Tzais HaKochavim”. The time between Shkias HaChamah and Tzais HaKochavim is called “between suns”. It is at this time that we are in the twilight zone in which the days change, a time of erev or disorder (as we find implied in Genesis 1). Jesus was buried from Tzais HaKochavim Wednesday night (now the 15th of Nisan) through Thursday night (now the 16th), through Friday night (now the 17th), through to Saturday night (now the 18th): three nights and three days. In all likelihood, He rose again from the dead in the third watch of the night. Jesus was indeed in the earth for an entire three nights and three days. When the first light began to break on the eastern sky, but while it was still dark, we see the passages of Matthew 28:1, Mark 16:2, Luke 24:1, and John 20:1 in this reverse sequence called “Alos HaShacar”: which is defined as “first light which appears before the sun itself is visible”. The time in which the women left for the tomb was at this point, but on the leeward or western side of Olivet, the tomb and the valley of the Kidron would have remained in darkness even after that “Naitz HaChamah” (the rising of the sun as it slips upon and above the horizon). Therefore, there is no discrepency in the Gospel accounts: none. At such a point as Alos HaShacar, Jesus had long since arisen, probably at about 3 am, such as when the Apostles on the Sea of Galilee once thought Him a ghost walking upon the water. 3am would follow the last passing of the Centurion (cf. Polybius Book 6.36) visiting the various sentry posts, The women and the apostles come to the tomb before 6am, meaning that the last watch of 3am, the Third Watch, had been verified by at least 2 witnesses as to the security and alertness of the Tomb of Jesus. Therefore, we are able to isolate a time of about 4:42-5am for the appearance of the women at the tomb, and the arrival of the apostles as likely between 5am-5:40am…the times being very general and approximate. Not using the King James, where do you find easter in the Bible?